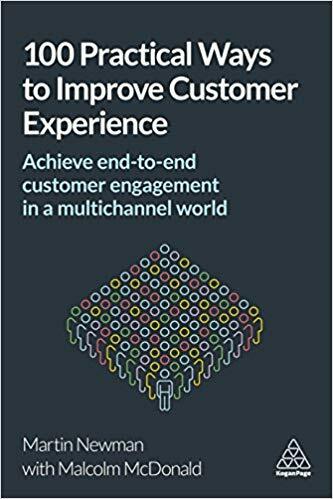 100 Practical Ways to Improve Customer Experience walks readers through practical tips, tools, guidelines and frameworks for implementing customer-focused marketing strategies. By ensuring that the customer remains the key focus, companies can identify areas in need of improvement and implement relevant steps to transform their business. It has a particular focus on industries such as retail, FMCG (fast moving consumer goods), travel, financial services, leisure, food and beverage, and automotive. These industries are all facing major disruption from trendsetting brands such as Uber, Airbnb and Amazon, and so face more pressure than ever to adopt new practices and remain relevant. It’s part how-to, and part research-backed commentary on the role of the internet on the retail sector. A must-read for business leaders in a customer-facing role and MBA students. Martin Newman is a sought-after speaker, author and expert on customer services. For 30 years he has worked with big-name brands such as Burberry, Intersport and Speedo, Ted Baker and Harrods and was founder and chairman of the retail consultancy firm Practicology. As head of Practicology, he grew his business to 100 people with offices in London, Dubai, Hong Kong, Guangzhou, Sydney and Melbourne before selling it to a US company. Currently he sits on the advisory board of both service and retail companies including White Stuff and Wiggle, and is a member of the KPMG IPSOS Retail Think Tank. He’s been listed on Retail Week’s top 50 eTail Power List for five years in a row and has been named several times in Retail Insiders top 100 Retail Movers and Shakers. This press release was distributed by ResponseSource Press Release Wire on behalf of CEO PR Limited in the following categories: Consumer Technology, Business & Finance, Retail & Fashion, for more information visit https://pressreleasewire.responsesource.com/about.